WHAT IS SAYPHA FILLER WITH LIDOCAINE? Saypha Filler with Lidocaine is a non-animal soft tissue filler manufactured by an Austrian pharmaceutical company, Croma Pharma. The active ingredient—hyaluronic acid—is derived from the fermentation of bacterial cultures and is then processed to be a monophasic gel at a concentration of 23mg/mL. A quick-acting local anaesthetic, lidocaine, has been integrated to provide a painless treatment session for patients. This sterile and pyrogen-free gel is supplied in a single, disposable 1mL syringe and comes with a package insert and 2-27G sterilised needles. Saypha Filler with Lidocaine can combat signs of skin ageing by volumising and hydrating troubled skin. 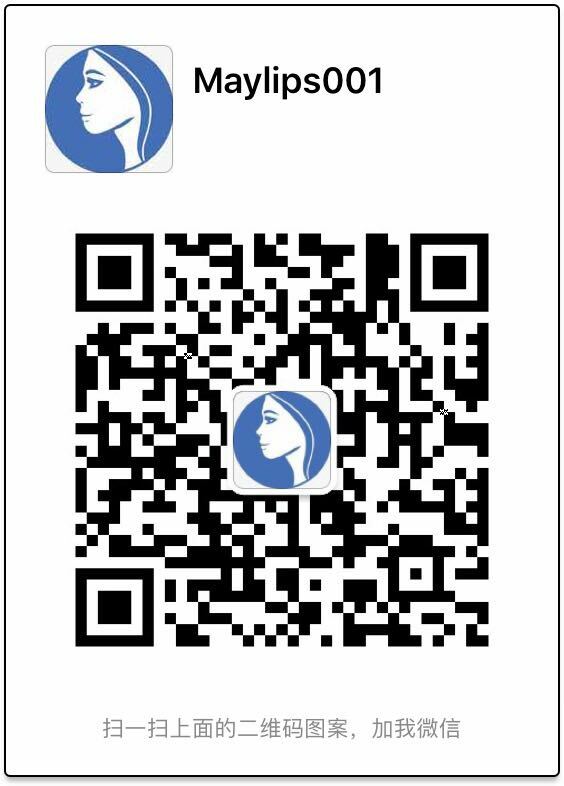 Moderate to severe wrinkles such as forehead furrows, perioral wrinkles, nasolabial folds and marionette lines can all be corrected. Lip shape and volume can also be altered according to the patient’s preference. HOW DOES THIS FACIAL FILLER WORK? Hyaluronic acid is an extremely versatile and effective substance. It is actually found abundantly in various parts of the human body. Optimal skin hydration and elasticity depend on an adequate amount of hyaluronic acid molecules in the skin’s structure. However, as the body’s biological ageing progresses, the amount and activity of hyaluronic acid diminishes. Hence, the skin’s structure weakens, and lines and wrinkles become more prominent. In addition, some external factors like sun damage and smoking can cause more damage to already aging skin. Saypha Filler with Lidocaine was designed to give a boost of hydration and volume. Once injected, the gel binds to water molecules. Skin is lifted and appears smooth and firm. The gel is administered via small needles for precise results and generally does not cause discomfort. Nevertheless, lidocaine is still integrated to ensure painless injection sessions. Soft tissue filler injections fall under medical procedure and must be treated as such. The entire treatment must be conducted aseptically in accordance to intradermal injection guidelines. Besides that, only certified medical practitioners with skills and experience in administering skin fillers are permitted to carry out this procedure. During initial consultation sessions, advise your patients to stop consuming any blood-thinning agents (e.g. anticoagulants and anti-inflammatory drugs) a week before treatment day to reduce the risk of bleeding. Before injecting the implant gel, clean and sanitise the proposed area thoroughly. You can still apply some topical numbing cream for patients with poor pain tolerance. Once the skin is ready, administer Saypha Filler with Lidocaine intradermally via mid to deep dermis injections. Lightly massage the skin for best gel distribution. Avoid exposing the treated area to harsh temperatures (e.g. direct sunlight, sauna, tanning beds, sunbathing) for a week after treatment. Patients who have recently had other dermal procedures (e.g. dermabrasions, chemical peels) should wait until complete skin recovery before getting this treatment. Refer to package insert for a detailed list of instructions. A single Saypha Filler with Lidocaine treatment can improve your patients’ problematic skin instantly after injections, with the effects lasting up to 12 months. The bioresorbable gel is disintegrated into nearby tissues gradually, making it temporary filler. Your patients can get touch-up injections after that period to maintain their radiant visage. Nevertheless, filler’s residence time and effects vary across patients. Refer to package insert for a detailed list of contraindications and warnings. Patients may experience some discomfort after treatment due to injection process. Inform your patients of the possibility of these side effects and assure them that these reactions are normal. Said side effects are mild and should abate within a week. The patient can apply cold packs on treated site to soothe the reactions. Refer to package insert for a detailed list of adverse side effects. 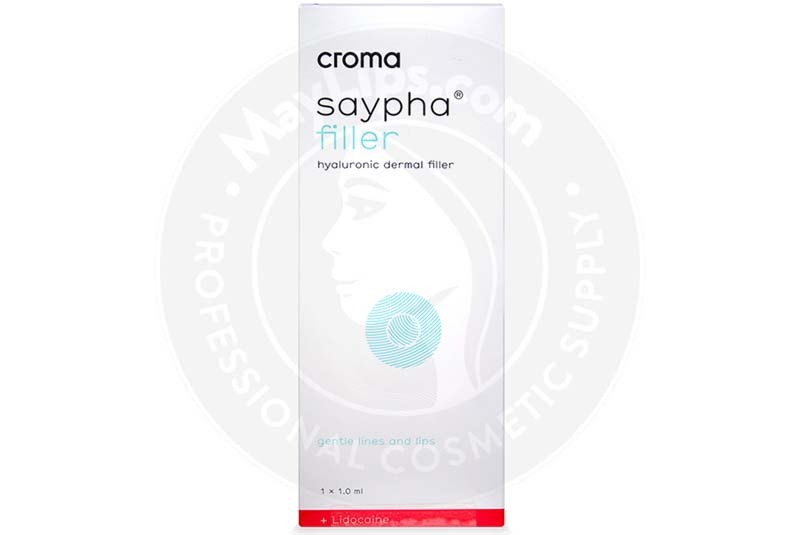 Saypha Filler with Lidocaine is a hyaluronic acid-based soft tissue filler made from a non-animal source. Bacterial fermentation is conducted in a controlled laboratory setting to produce HA molecules. Advanced cross-linking process reticulates the molecules into a cohesive monophasic gel using 1,4-butanediol diglycidyl ether (BDDE). Lidocaine is added for its quick-acting pain-relief property.